This last weekend was the second year that Wizard World held a convention in Madison, Wi. 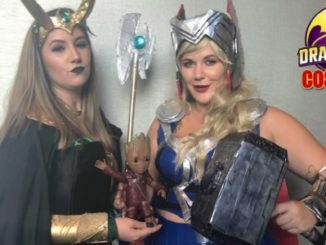 The convention was held at the Alliant Energy Center and once again was filled with a variety of amazing artists and creatively crafted cosplays. They also brought along several celebrities that people were clamoring to get a peek at such as David Tennant. Overall it looks like it was a successful con and Wizard World will probably be having it for a third year. I look forward to seeing what they bring in next year. Thank you to Fluffy Fox Photography for the photos, check out their FB photo album page for full resolution and be sure to check out their professional work on their homepage.